Modern Brick Villa in a small complex of only 5 and all owner occupied. Spacious tiled living and dining areas with bay window and air conditioning. Lovely kitchen overlooking covered alfresco area and low maintenance yard. 2 double size bedrooms complete with built in robes and ceiling fans. Stunning new bathroom with large shower and central to both bedrooms. Good size laundry and large linen cupboard for storage. 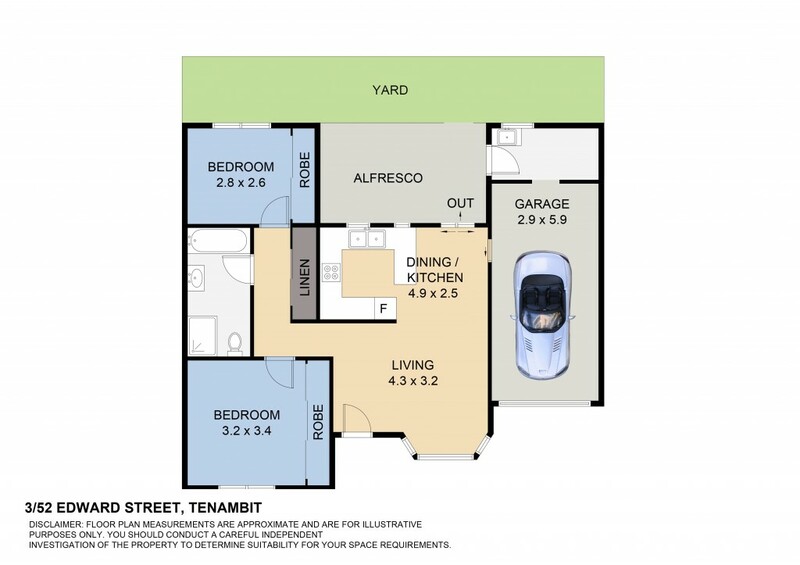 Single garage with remote entry and internal access to the home. Close to the popular Tenambit Shopping Village and bus route.